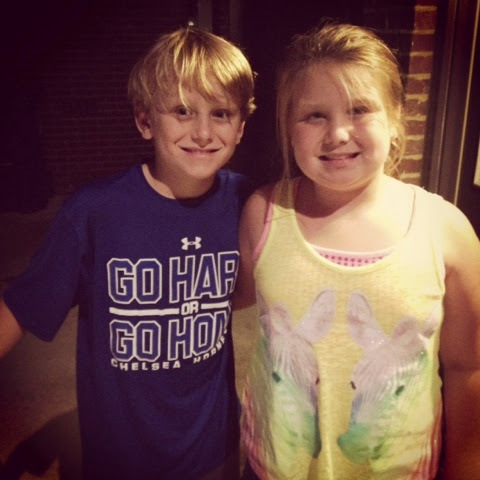 Wednesday, August 27th: Church Night Fun!!! Tonight we got in the car from church and Brylee said tonight GA's was so fun because we learned about Ruth and Naomi etc... And JP chimes in with yes church was fun we did archery and played kickball or and a little bit of bible study too! Ha! ;) I laughed because that is so the difference between boys and girls! 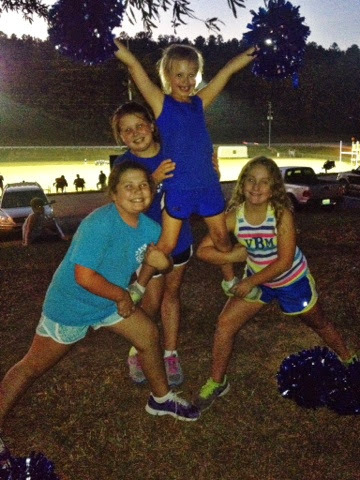 Cutest little cheer stunt group working hard at practice! 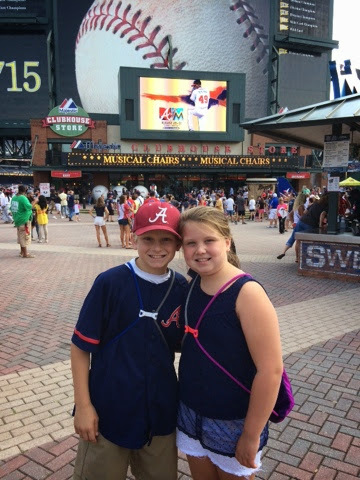 Grandaddy, Daddy, Jackson & Brylee all went to the Braves game in Atlanta tonight! 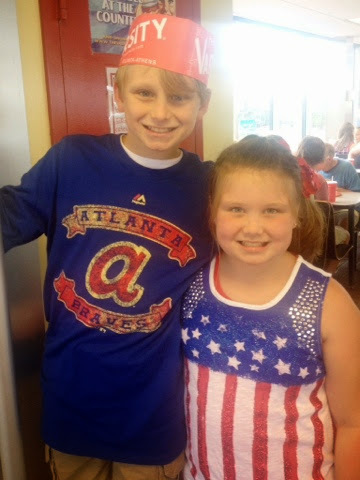 It was the kids first time to go see the braves play! GoGo and I opted out of the game and went shopping! We had a fun weekend in Atlanta! 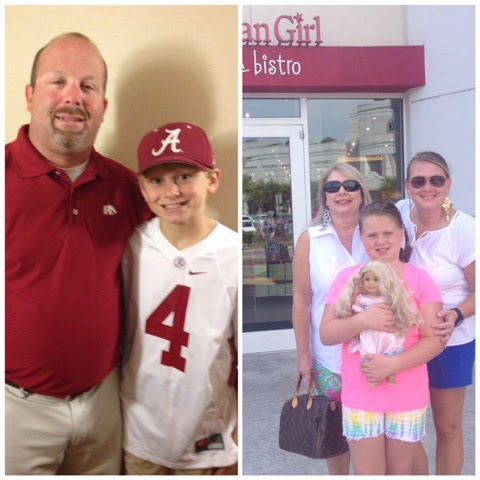 The Bama Boys went to the opening game in the dome & the girls went to the American Girl store and went shopping! Ray and Anthony went to the game with Richard and Jackson so Mandy met us and went shopping! 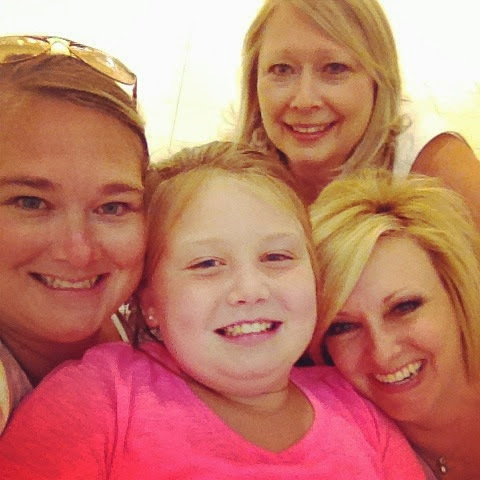 We shopped until we dropped! Sunday August 31st: The Varsity!!! Whatcha have, Whatcha have, Whatcha have ( FYI: that is what they say instead of can I take your order)!!! It's an Atlanta tradition to go to the Varsity to eat while we are there! So today we went to eat lunch there and then went to Dave and Buster's to play video games on our way out of town! Monday, September 1st: Happy Labor Day! We "labored" at home today! My kind of day!!! I actually got some chores, cleaning & laundry done! We also grilled out! 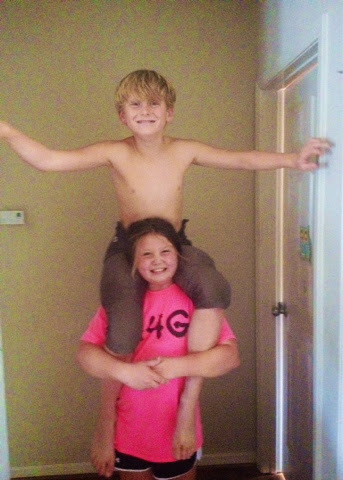 And these two were being crazy all day! Then the boys were off to football practice! It was a nice relaxing day off! Tuesday, September 2nd: Come on Fall!!! 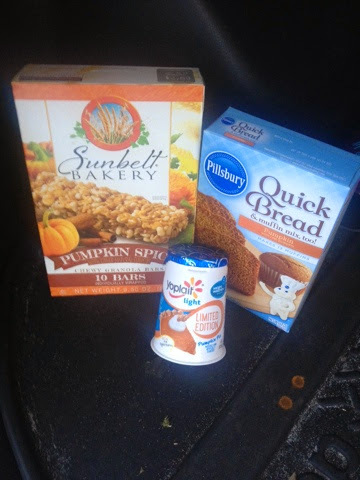 I ran to Walmart tonight to get a few things and I came home with some pumpkin items!!! Do you think I am ready for fall or what? The pumpkin yogurt was actually good I will be getting more of that I was a little skeptical when seeing it but it was good! The pumpkin muffins I made the next morning for breakfast made the house smell wonderful and were a crowd pleaser for sure! The pumpkin granola bars were new to me and they were very yummy! We all enjoyed a "fall snack" this week! I am ready for fall!!! Hurry up and cool off!